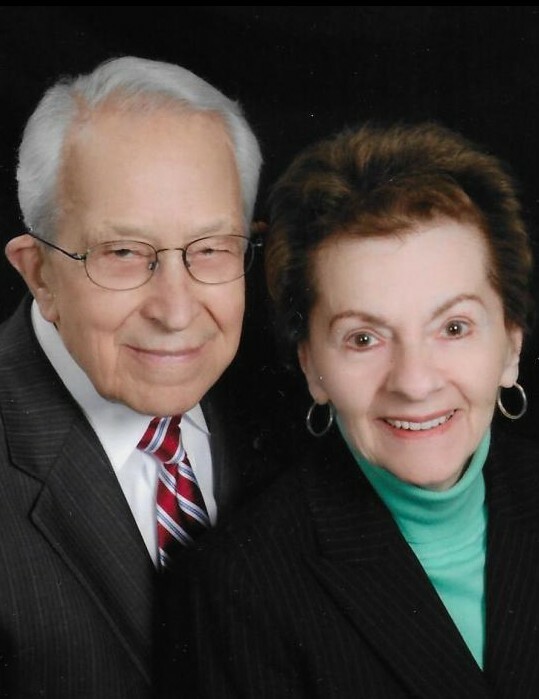 James S. Nicholas went to be with his Lord and Savior and wife Georgia on January 15, 2019 at the age of 90. He was born on February 24, 1928 in Patras, Greece to the late Samuel and Penelope Nicholas. He is survived by his children Terry (Mary) Nicholas, Emili (Leonard) Slott, in-law Chris Nicholas; six loving grandchildren Nicole Slott, Alexis (Justin) Bremmer, James Slott, Joanna (J. Patrick) Coyne, Zachary Slott and Michelle Nicholas; Seven great-grandchildren, Simon, Mia, Aleksander, Donovan Jr., Abbie, Kennedi and Emilia. He is also survived by his brother George (Katina) Nicholas, sister Chris (Bob) Hultzen, sister-in-law Bess Nicholas and many nieces, nephews and extended family. James was preceded in death by his wife Georgia and brother Arthur Nicholas. James served in the US Army during the Korean Era. He was an entrepreneur all of his life in various manufacturing businesses. He loved taking trips skiing with his family and did so well into his 80s. James was also very active in Holy Trinity Greek Orthodox Church and the Diocese of Detroit (now Metropolis) and even the Archdiocese of New York. James was a very thoughtful, loving and caring man, who impacted many lives. He was a loving husband, father, grandfather and great grandfather who will be missed by all. The funeral service will be held at 11:00 A.M. Saturday January 19, 2018 at Holy Trinity Greek Orthodox Church, 330 Lakeside Drive. NE, Grand Rapids, MI 49503. Visitation will be on Friday at the church from 5-8pm with a Trisagion Service at 7pm and from 10-11am prior to the service on Saturday. Interment will be at Rest Lawn Memorial Park. In lieu of flowers, memorial contributions may be made to the James and Georgia Nicholas Scholarship Endowment Fund at the College of Engineering Technology, Ferris State University, Prakken Building 101, 420 Oak Street, Big Rapids, MI 49307 or to Holy Trinity Greek Orthodox Church.